Wanna see an old house design get better? In this post I share how to improve an old house plan. 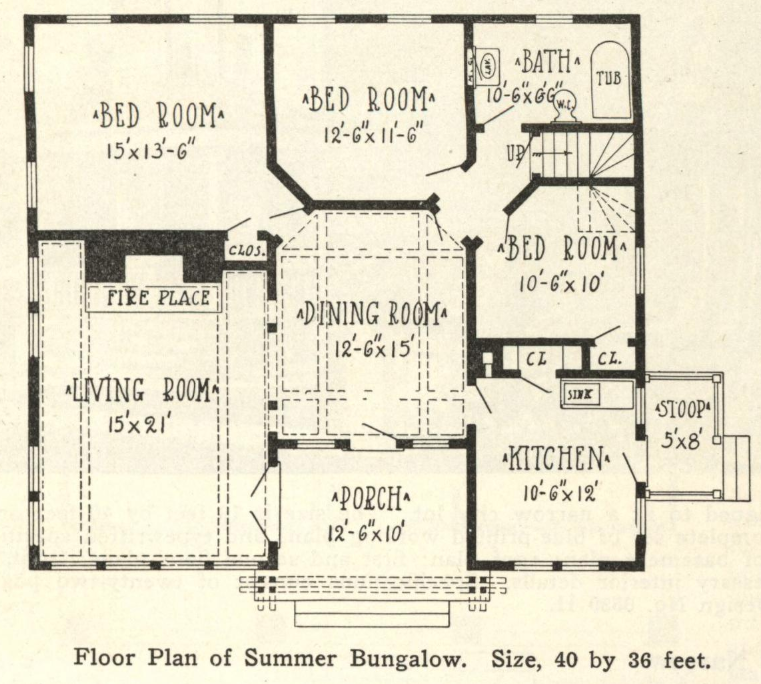 I’m an old house lover and I am obsessed with old house plans. I’m writing this post from the library and I just paid them a $25 fine for hoarding old pattern books from the 19th century. I would think that people who reserve books from the state archives are normally doing some sort of study or research project. But me? I just wanted to get inspired by the beautiful architectural designs of the past. I love spending my weekends flipping through old books and drooling over plate after plate of magnificently hand-drawn details and designs of Victorian homes, villas, and country homes. Don’t get me wrong, I love new and modern too. 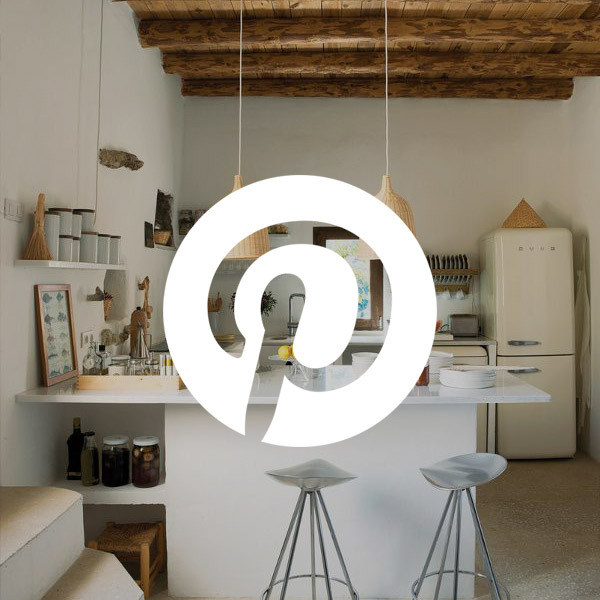 I love modern plumbing fixtures, LED lighting, streamlined hardware, sleek furnishings, and bold textiles. But when it comes to architecture, I want it square and simple, compact and classic. I want it with fantastic moulding, leaded glass windows, and lots and lots of quirky charm. But I still want that spacious, modern, open layout too. Sigh. As much as I adore the look and feel of old houses (that amazing curb appeal tho), the way the rooms are laid out present a lot of challenges for how we live today. Kitchens are small and relegated to a back corner, often with an attached pantry but little space for appliances and cabinetry. Laundry rooms rarely exist; the utilitarian laundry sinks are most likely in a dark, damp basement somewhere. Closets are few. Tight and narrow stairs go to small cellars or storage attics. One small bathroom is all you get. Oh, and living areas don’t have a spot for the beloved TV. So is it possible to build a NEW old house? 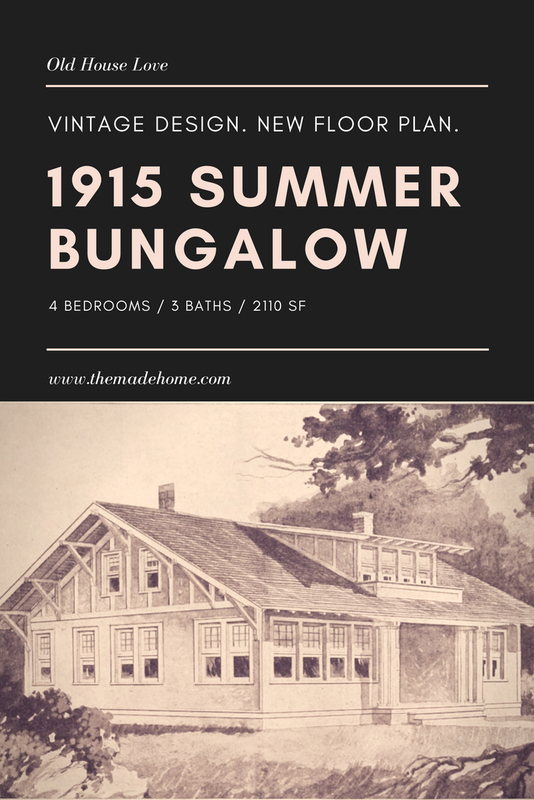 I find it a little sad that there are hundreds and hundreds of gorgeous, thoughtful house designs out there that were once carefully designed and detailed but are largely forgotten because of their undesirable floor plans. I mean, these plan books were put out there with the intention to help bring great design to every day people. People could pick out a house design, buy the plans for as little as $5 and build a solid, legacy house that would bring joy for generations. And for a period of time, people did. The architects probably thought their designs would live on for decades. Priorities changed and architecture changed with it. When I study vintage house designs, I can’t help but think of how I would build that same house today. I’m kind of fascinated by the idea of resurrecting an old creation. And I like playing architect too from the aspect of putting together the pieces of a puzzle. Rearranging rooms is like my new Sudoku. 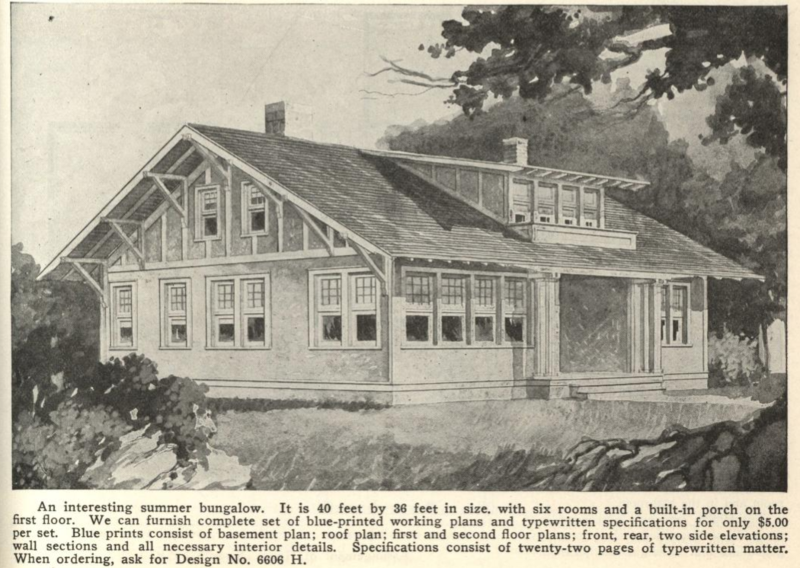 Here’s a house design from the plan book “Guaranteed Building Plans” by William A. Radford, published in 1915. I like a lot of the designs from that book, but this was one of my favorite bungalows. This one feels sunny and inviting. Though I do love bungalows, I usually find them dark and somewhat gloomy. I liked that it didn’t have the typical front porch that is common on bungalows which often block some of the light from entering the front rooms. Instead this porch is recessed and it opens into the dining room instead of the living room. So the living room remains out of the way of front-door traffic. I played around with this plan awhile ago, but since its summer now and this is a Summer House, I thought I’d now share! Keeping the overall dimensions the same and the front elevation unchanged, here is what I came up with for the interior layout. 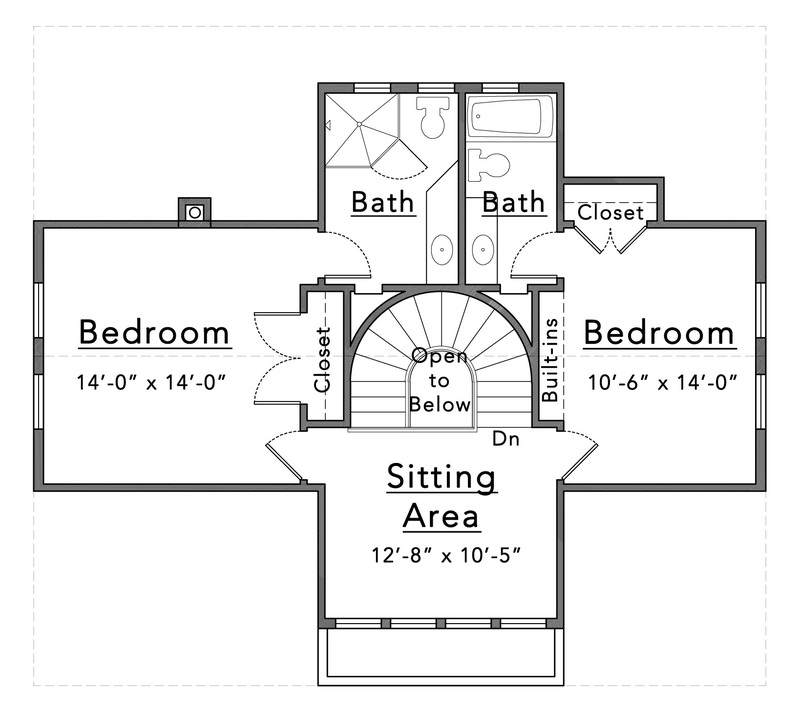 The original plan presents 3 bedrooms and 1 bath on one level. There is an attic, but it’s just extra space and not planned within the set of finished rooms. The description in the book says that the “attic will be found convenient at times for sleeping cots when the boys come to stay over Sunday.” The Bunk Room of yesterday was a lot different than the Bunk Room of today’s Pinterest. Here are my thoughts on how to improve the main level. 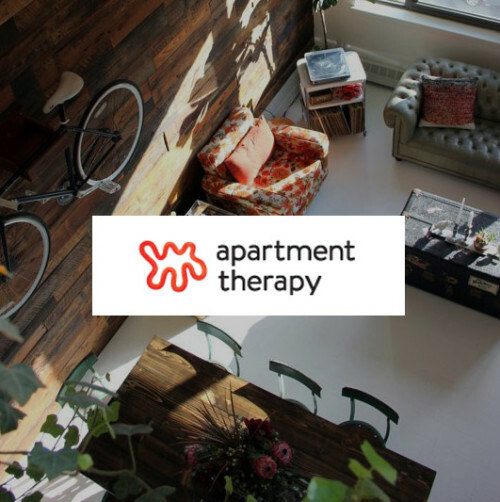 Leave the fabulous living room alone. I love the original design with the coffered ceiling, french doors to the front porch and the fireplace, so I didn’t want to touch it too much. I did expand the wall space between the two sets of windows so there would be a place to put the TV, and I reduced the fireplace to gain space on the kitchen side. Eliminate the front dining room. Turn the front kitchen into a bedroom/office. The kitchen made sense in the original plan because it was adjacent to the dining room. But it is detached from the living room. So I located the kitchen behind the living room and gave it a nice island and plenty of cabinetry. Since it is in the rear of the house, it’s easy to put a deck back there. Or maybe a garage could be positioned back there. What was the kitchen makes a great little bedroom or office. If you wanted, you could easily have a door to the porch from that room as well. I always struggle with squeezing in a laundry room in these old houses. There normally isn’t the room for such a luxury. But by taking away one of the bedrooms (and adding it back upstairs), I found the room just opposite of the kitchen. I like that it’s near the kitchen, accessible to the bedrooms, and also has direct access to the outside. Increase the closets in the bedrooms. Make the one bathroom more accessible. The one bathroom was located in a back corner in the original plan. While it was close to the two smaller bedrooms, occupants of the larger bedroom would have to travel through the front dining room to reach the bathroom. In the new plan, the bathroom is privately and conveniently located between the two bedrooms, but is also very close to the foyer so that it can easily serve as a powder bath. I found a lot of opportunity with this unfinished attic and figured out how to squeeze more rooms and space with it. Two bedrooms with ensuite baths in fact. And a front sitting room. By positioning the staircase in the heart of the house, you can get two bedrooms upstairs off of a central sitting area. The ceiling heights would have to be studied more carefully but by vaulting the ceilings where possible it shouldn’t feel too cramped up there. By finishing the upstairs you get almost 800 square feet. And just like that, this sweet old summer house just got even sweeter. 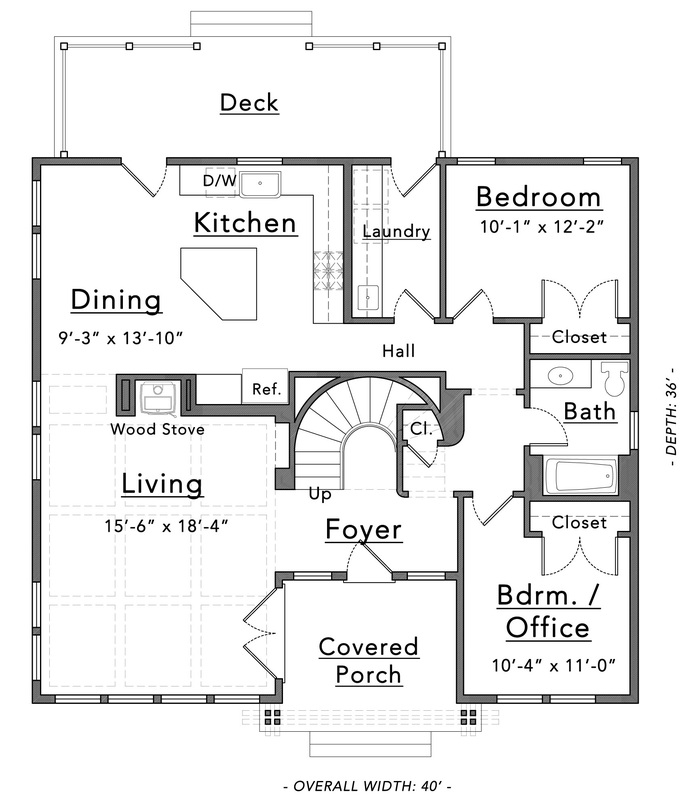 Click below if you want the dimensioned, scaled floor plans to this house emailed to you. So friends, could you picture this little bungalow nestled in some meadow somewhere? Perhaps there’s a little private pond nearby? I’ve got files and files of floor plans I’ve reimagined based off of old house plans. Would you be interested in seeing more? Let me know your thoughts! Leave a comment below and let’s chat. 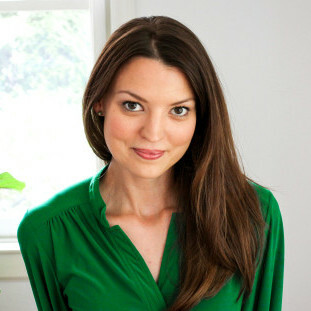 Have you done a blog on wallpaper?